Consistently ranked as North America’s top ski and snowboard resort, Whistler is nestled amongst the spectacular Coast Mountains of British Columbia, Canada. At one time an isolated wilderness frequented only by the Lil’wat and the Squamish First Nations as a waypoint for trading, today’s Whistler is home to 9,500 permanent residents from around the globe. With its role as Host Mountain Resort for the 2010 Olympic and Paralympic Winter Games, Whistler was further established as the ultimate winter destination. 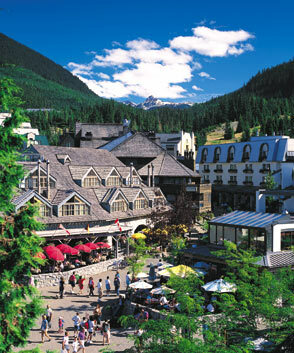 However, there is another side to Whistler – summer. As the snow melts, rolling expanses explored by snowshoe enthusiasts reveal four championship golf courses designed by legendary players such as Arnold Palmer and Jack Nicklaus. Forested pathways that once housed groomed cross-country ski tracks transform into a network of family-friendly and single-track biking trails. Ski runs make way for alpine hiking and downhill-biking in the world famous Whistler Mountain Bike Park. Winter made Whistler famous but its natural beauty, diverse residents and limitless year-round offerings make it an original and unforgettable place. The PNWER Annual Summit offers policy tours and networking activities highlighting the natural beauty of Whistler and the innovative best practices of local industry. For more information, visit Tourism Whistler.